Chris Weidman shocked the world again by defeating the world’s best pound for pound combat sport’s competitor in the world (Anderson “The Spider” Silva). 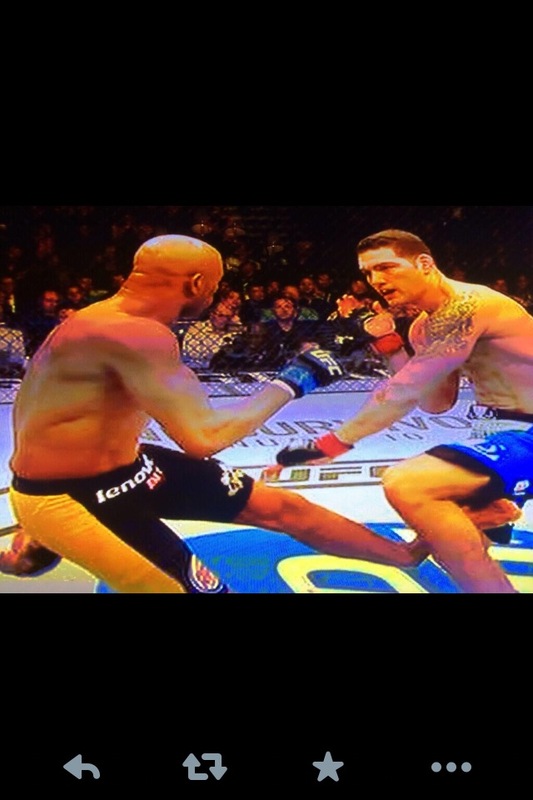 It was a very exciting fight, but much of that excitement stopped when the world saw Anderson Silva’s leg break. The slow motion replays and picture capture of the leg break is just painful! UFC 168, Anderson Silva vs. Chris Weidman. After the first match between Silva and Wiedman, Weidman’s trainers knew that checking and blocking Silva’s round kicks are a must. Weidman did it at UFC 168, he checked Silva’s low round kick and it broke Silva’s shin. Similar events happened to fighters worldwide, including UFC fighter Corey Hill . Very serious martial artists should have a lot of questions! Should I be executing a round kick like that? How should I throw a round kick, so that I don’t break my own leg? Should I control how much force I throw in a round kick? Should I set up a round kick? How should I set up a round kick? I wanted to make my own breakdown video, but someone already beat me to it. Check out this video from Bas Rutten, because he is going to say what I would. The only thing I would add is the round kick needs to be set up! Any strikes that take a circular path will take more time then a strike on a straight path. Timing needs to be on your side when executing a low round kick. Watch out for the knees too! I know it has been a while since you have heard of any activity from me, but much has been going on. I have been busy with so much stuff and I have kept much people in the loop. Please stay tuned to some amazing updates. I just revised the Facebook page and twitter account, hopefully I figured out how all to link these accounts together. I will be teaching every third Thursday night of the month (advanced class), starting on Thursday, 2/21/13 (7:00-8:30 PM). The class will be a lighter version of my Sunday class. Please bring gloves (boxing gloves are preferred), shin pads, mouth piece, and cup. The class is very safe (and fun) and you don’t have to spar if you don’t want to. You will find that most of what we do is rooted in Uechi Ryu karate. You can go at your own pace and watch parts that you don’t want to participate in. As we progress with the class we can customize it to the needs of specific requests. Please let me know if there are any areas that you are interested in exploring. This basic yet simple principle has been taught by martial artists for thousands of years, from ancient martial artists to Bruce Lee to Rener Gracie. In the striking arts you have to utilize footwork to close the distance on an opponent to land your strikes and use your footwork to evade theirs. In grappling arts you have to close the distance on the enemy to prevent their strikes being effective, or to break distance far enough away. The control of the distances during the fight is constantly in flux, one moment the distance is closed and the other moment the distance is too far away. Understanding distance control can be more important than the techniques to injure. 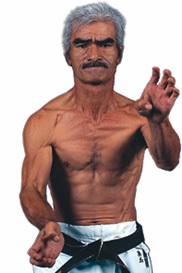 If you are a serious martial artist, this specific principle can not go untrained. Eric Chadbourne (iokarate.com) and David Chan (instituteofcombativearts.com) take a look at the Boston Shaolin Kung Fu Center and sit down with Sifu Heng Zhen Shi to learn about his background and what inspired him to start the school in Quincy, Massachusetts. Please go to http://sampan.org/ to read the whole interview. I was very fortunate to team up with Eric Chadbourne from Sampan to conduct and publish this interview. It was just wonderful to experience and watch what is known to be one of the oldest forms of martial arts.